I love buckwheat. It may be an acquired taste for some, but it didn’t take me long to become a devotee. 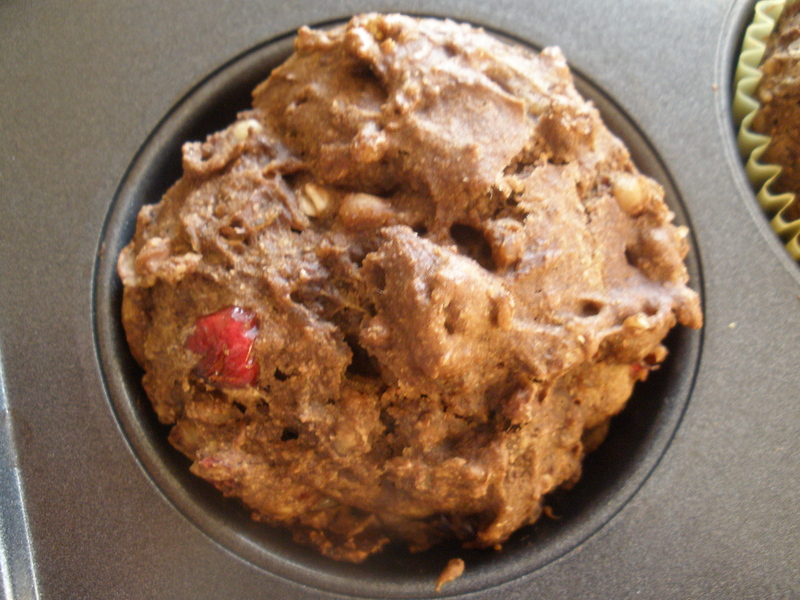 Most buckwheat muffins or other baked goods recipes I’ve seen use a combination of wheat and buckwheat flour, though this muffin I made a few days ago contains not only buckwheat flour, but also cooked buckwheat. I’ve seen recipes for muffins with cooked quinoa, so I thought buckwheat couldn’t be far behind, right? 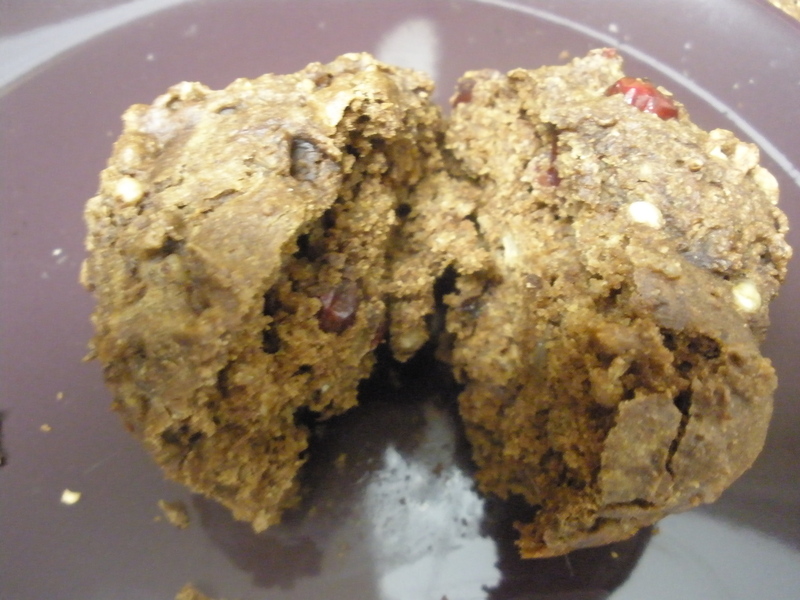 These muffins make a very respectable breakfast food–very little sugar and completely whole grain, with cooked buckwheat, buckwheat flour, and whole wheat pastry flour. I thought chocolate would make a nice flavor pairing with the buckwheat, so I added some good quality cocoa powder in addition to some grain-sweetened chocolate chips. They turned out yummy! Preheat the oven to 350 F, and place muffin papers in a 12-cup muffin pan. Alternatively, grease the muffin pan if you don’t have papers. Mix the almond milk with the flax and allow to sit for about 5 minutes. Meanwhile, mix the dry ingredients in a medium or large bowl. Then, mix the oil, barley malt, and vanilla with the almond milk/flax mixtures. Mix the dry and wet mixtures together, adding the cooked buckwheat. Once combined, fold in the chocolate chips and dried cranberries until evenly distributed through the batter. The batter will be thick. Bake for about 20 minutes or until a toothpick or fork comes out clean when you test a muffin.